Additional seating was needed for the Mountains of Hope Cancer Coalition’s announcement of the West Virginia Cancer Plan, Thursday at the Embassy Suites in Charleston, W.Va. Photo by the West Virginia Press Association. 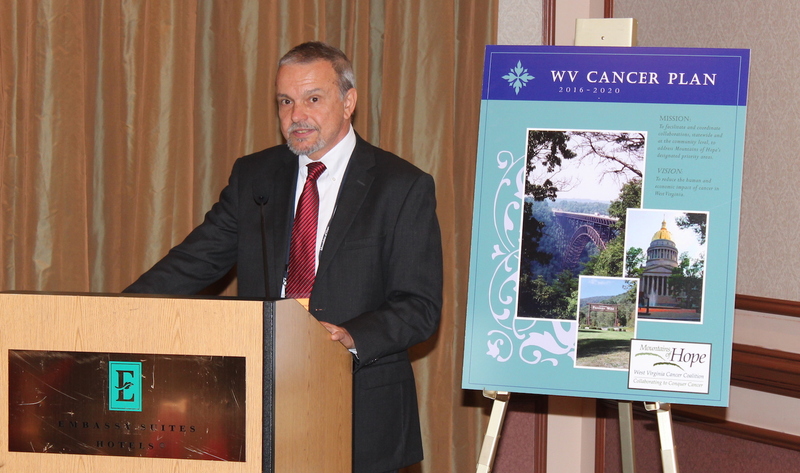 CHARLESTON, W.Va. – Extra seats were brought in Thursday to handle the audience gathered to hear Mountains of Hope Cancer Coalition’s strategic plan for reducing the impact of cancer in West Virginia during the next five years. 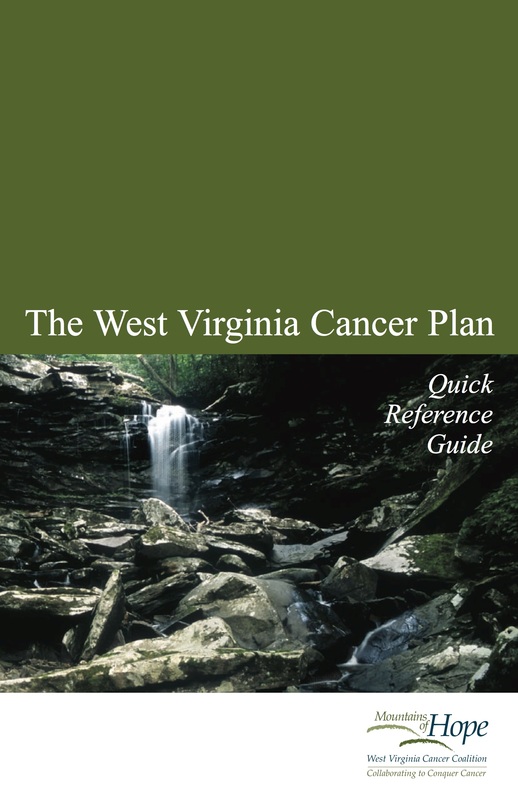 The West Virginia Cancer Plan 2016-2020 is a five-year plan that creates a framework to direct activities and encourage collaboration throughout the state. The Plan identifies key goals, aims, and objectives across the continuum of cancer care ranging from prevention, early detection and treatment, to survivorship and end of life. Mountains of Hope Cancer Coalition’s Jim Keresztury discusses details during the announcement of the West Virginia Cancer Plan, Thursday at the Embassy Suites in Charleston, W.Va. Photo by the West Virginia Press Association. According to the American Cancer Society, 11,770 West Virginians are expected to be diagnosed with cancer in 2016 and 4,750 are projected to lose their lives to the disease. Lung, breast, colorectal, and prostate cancers are expected to account for nearly half of all cancers diagnosed in the state. Cancer is the second leading cause of death in West Virginia, behind heart disease. But if the trends continue, cancer will become the state’s leading cause of death in the next decade. Mountains of Hope is a group of individuals and organizations in West Virginia who want to be part of the effort to reduce the impact of cancer in the state. They represent a variety of organizations and interest areas, including state and local governments; private and nonprofit organizations; health, medical, and business communities; academic institutions; researchers; cancer survivors; caregiver; and advocates. To review the West Virginia Cancer Plan 2016-2020 and join the Mountains of Hope Cancer Coalition, call 304-293-2370.